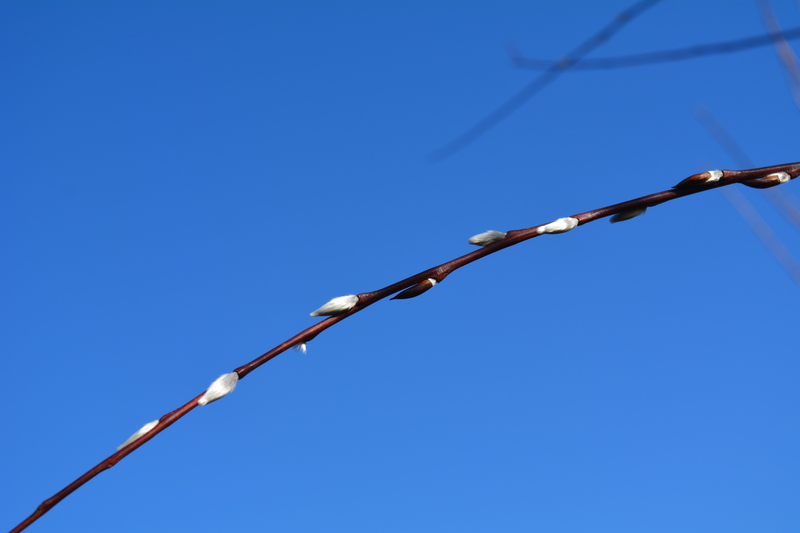 ← Afternoon Tea for Two – how English we are! 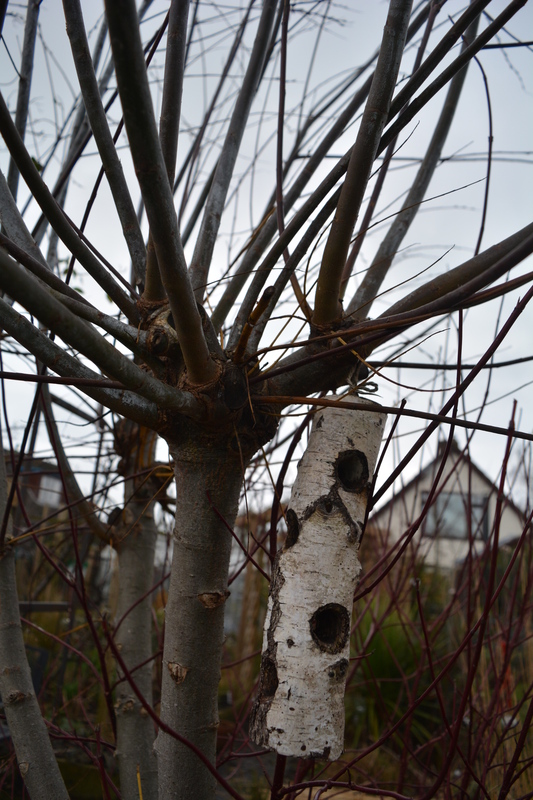 For part two in this series about the wonder of willows we start in our own garden at our home “Avocet” in Shropshire. 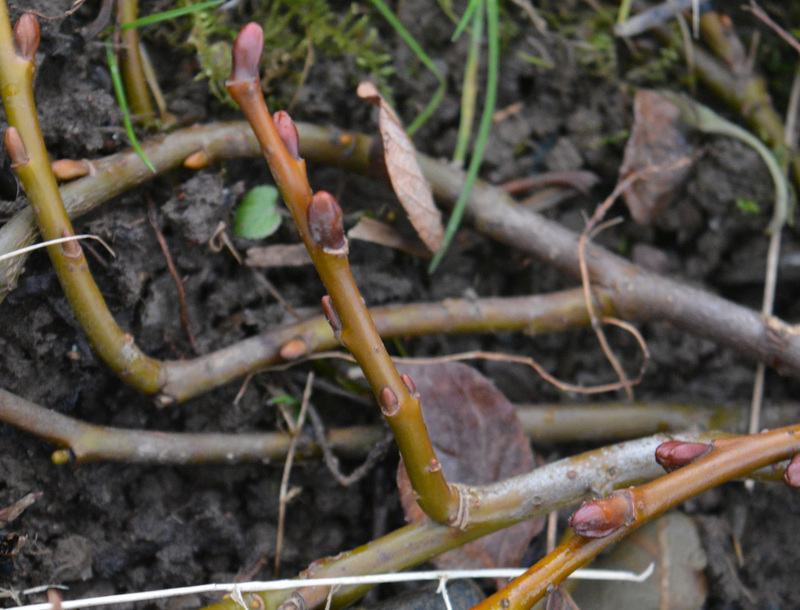 The first photo shows our striking, architectural Salix erythrocadium flexuosa with the orange coloured tips to its thinnest branches. 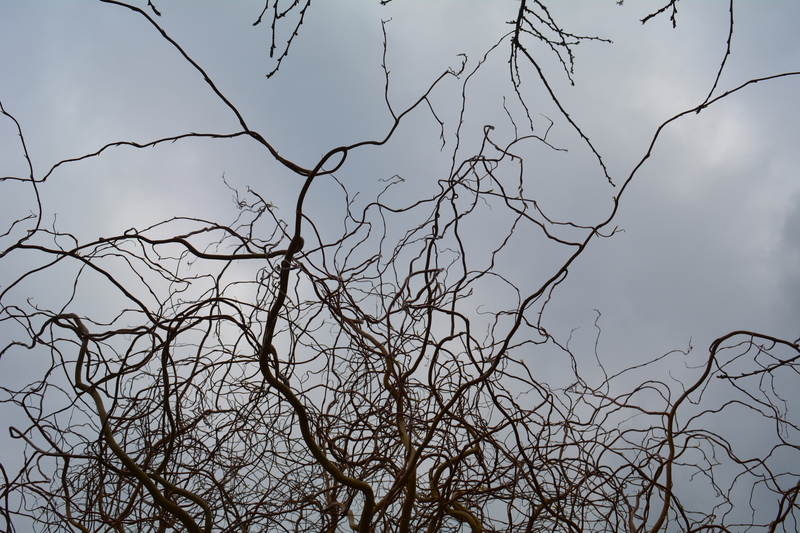 Together with the colour, the amazing curling, spiraling branches impress everyone who sees it. 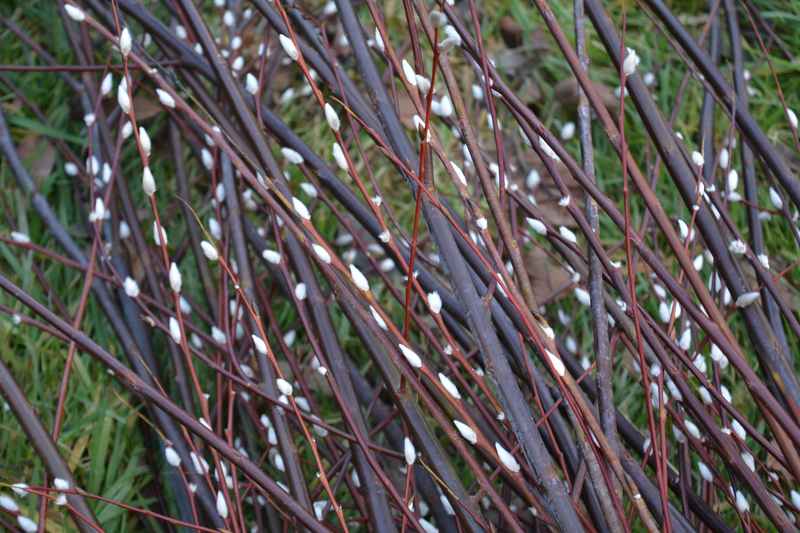 Close by our Violet Willow is equally impressive with its almost black stems which develop a white bloom in the winter. 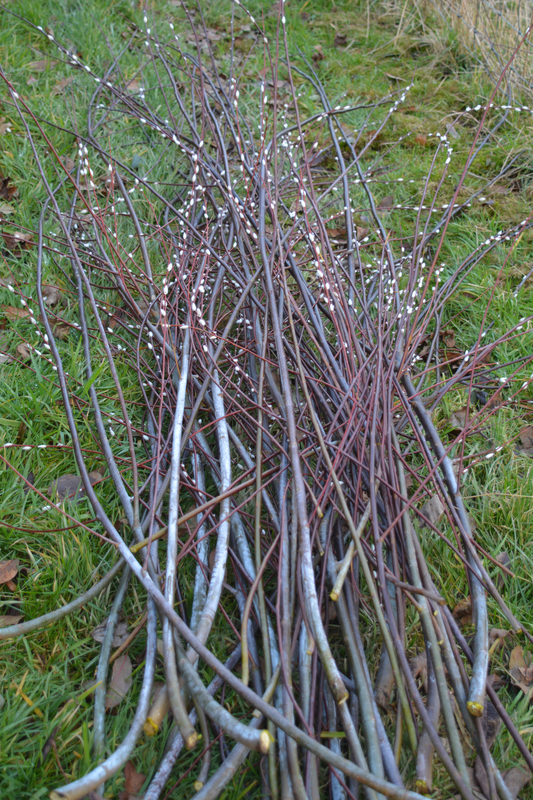 In the late winter and into early spring it produces strongly contrasting sparkling white catkins. 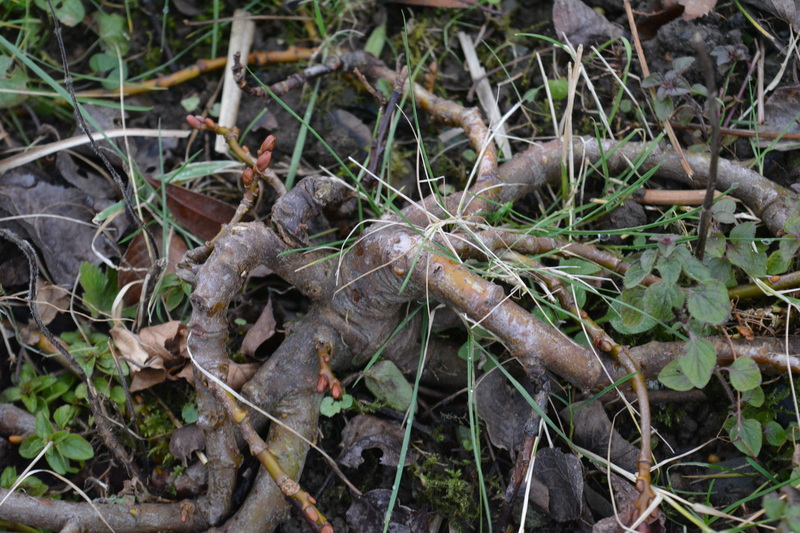 As the group of photos below show we have trained this as a pollarded specimen with its branches pruned down to the pollard stumps at about 8 to 9 feet. 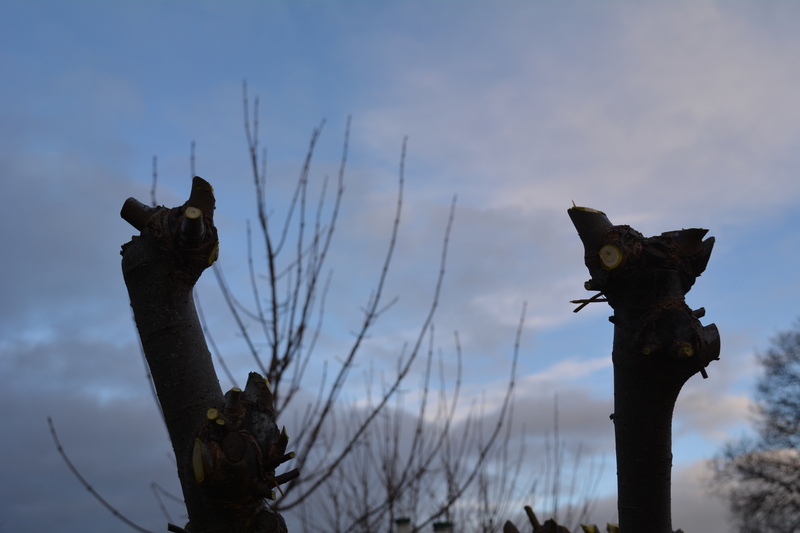 This is just tall enough to help us appreciate its catkins against the ever changing sky and also to make pruning easy. 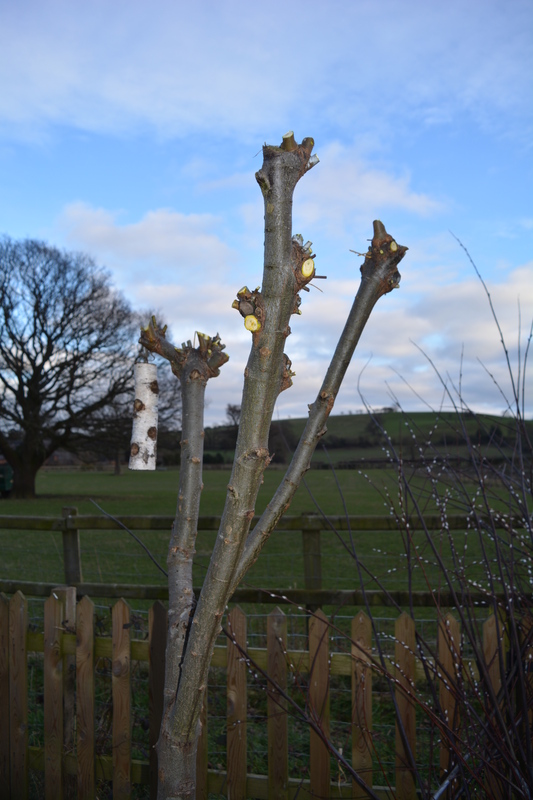 In late February or early March each year we prune it hard to give it its skeletal pollarded shape. 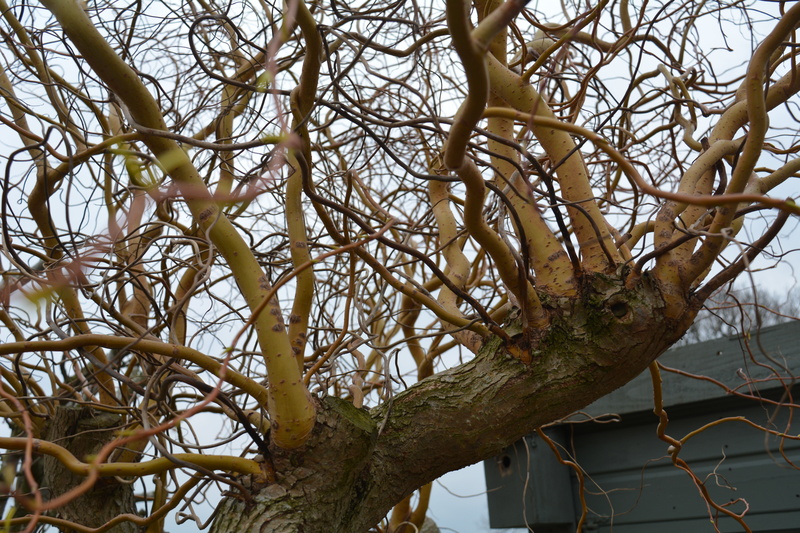 These two photos show how much material we pruned off it this year and the amazing range of colours. 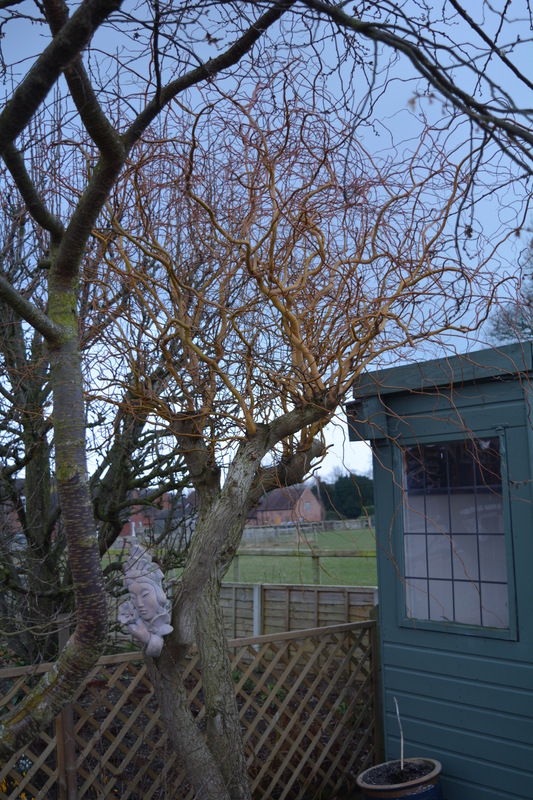 Apart from these two specimen willow trees we have this ground hugging Salix variety that barely rises an inch above ground level. 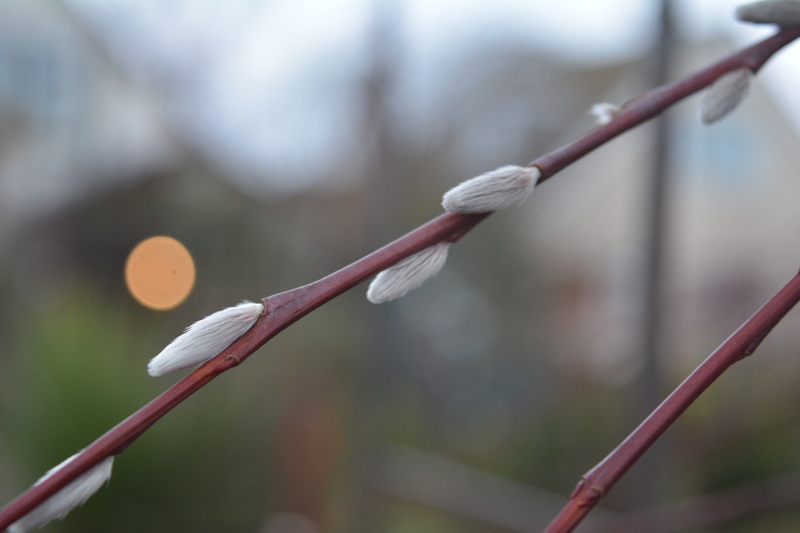 This entry was posted in colours, gardening, recycling, trees, Winter Gardening and tagged ornamental trees, pollarding, trees, Violet Willow, willow, willow pruning. Bookmark the permalink.